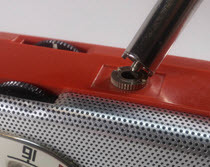 Collecting, restoring and displaying pocket radios is fun, of course, but many of us enjoy owning a wider range of artifacts as vintage electronics magazines, test equipment, NOS components and, of course, electronic devices other than pocket radios. Let’s look at some examples. If you Google the phrase “ephemera definition” you will get about two-dozen slightly contradictory hits. For me, the best summary of the general consensus seems to be “bits of throwaway paper of every day life (eg: advertising, ticket stubs, programs, some booklets and pamphlets),” and so on. …items of collectible memorabilia, typically written or printed ones, that were originally expected to have only short-term usefulness or popularity. Many definitions exclude books, but include catalogs, but for our purposes let’s include both catalogs and instruction manuals in our definition. 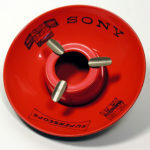 Here are some examples of popular mid-century electronics-related paper collectibles. High on any collector’s list ought to be a stash of vintage catalogs and flyers from retailers such as Allied, Heathkit, Lafayette, Olson Electronics, Poly Pak and so on. But if you stop there you are missing half the fun. Real ephemera hounds also round up manufacture’s catalogs, in-store handouts and so on. Flipping through these musty pages can provide an amazing number of sense memories. Catalogs are like time machines. You will remember long-forgotten moments from your childhood, I promise. Flip through at least one catalog from the mid-fifties through the mid sixties and you will see what I mean. Catalogs are also important research tools. They can help you date items in your collection, as well as look up battery cross-reference information, connector types and more. Radio shops and other retailers were flooded with propaganda from manufacturers. Collecting product line sheets, price lists press releases and even personalized letters can be a great source of information and enjoyment. Here too, these little scraps of paper help us gain perspective. It’s fascinating to compare the penciled-in prices on a radio shop’s marked-up “counter catalog” with the same shop’s factory price list. Which items sold below the recommended retail? Which ones went at a premium? How valuable were radios to consumers? When you consider that the Federal minimum wage was $0.75 an hour in 1955 and only $1.25 a decade later, a $50.00 radio would have been a significant investment. Another wonderful source of enjoyment and information came to us through our mailboxes—electronics magazines. The big ones were, of course, Popular Electronics and Electronics Illustrated. 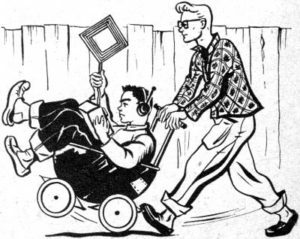 If you were a hobbyist as a child I bet you flipped to Carl and Jerry the minute you picked up a new “Pop ‘Tronics.” Did you read Uncle Tom’s Corner in Electronics Illustrated? Was that guy irreverent, or what? Did the ads for trade schools get you thinking about a career in electronics? How many of those projects did you build, or want to build? Well, you can still build them today. Vintage electronics magazines are readily available and a real bargain for nostalgia buffs. Get yourself a handful and some vintage parts and dust off that soldering iron. You can’t be young again, but you can remember a lot about what it was like. While you are at it, peek into some general “how-to’ magazines such as Popular Mechanics magazine and Popular Science also carried how-to projects, product reviews and fascinating technology-related articles and advertising. These are easy to find in local antique malls as well as online. Many of the pop culture magazines including, but by no means limited to, Life, Look, Boy’s and Life are worth a look, if only for the advertising and cultural context they offer. 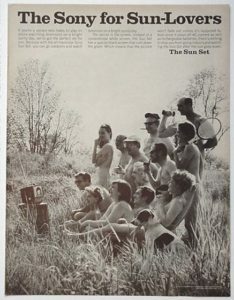 There is a thriving business devoted to the clipping and preserving of old magazine ads by the way. There are a number of online sources who will sell you an old Zenith or Toshiba ad framed, or at least preserved in an acid-free protective container. Expect to pay anywhere from a few dollars to more than $100.00, depending on an ad’s scarcity, condition and presentation. Google “vintage advertising” to get you started on your hunt. Even if you don’t actually repair radios, you can learn quite a bit from service-related ephemera. Service documents from both manufacturers and technical publishers are definitely worth exploring. Factory service documentation is often the most interesting, and most challenging to find. Some of the Japanese documents are absolutely stunning with photo-typeset text, wonderful art, and in many cases full color printing on glossy paper stock. These are collectible even if you don’t understand a word in them, (which can be the case if you are lucky enough to find them in their native language). At the other end of the spectrum you will find factory documents that appear to be slapped together in an hour or two. Remember, this was a time before laser printers and scanners and PhotoShop, so many service documents were created on manual typewriters, and illustrated by cutting hand-drawn ink drawings with a razorblade and pasting them (sometimes haphazardly) onto cardboard for the lithographer to photograph. Sams Photofacts are the next service document category. Howard W. Sams & Company, Inc. (an Indianapolis, Indiana publishing firm, which still exists today), worked with electronics manufacturers to create comprehensive, multi-page service documents for many popular electronic devices. They created documents for tube radios, televisions, audio products, Citizens Band radios, and when the time came transistor radios. These were fold-out booklets with holes punched in them so that a technician could file them in three-ring binders. My recollection (from selling these to servicemen as a boy) is that you could not simply buy one Photofact. Instead, you purchased an envelope containing a dozen or more Photofacts in order to get the one you wanted. There was a subscription service as well, which saved you a trip to the parts store, and meant that new documents conveniently arrive in the mail. photos of the top and bottom of circuit boards with callouts locating the test points and components. The next logical progression was for Sams to publish books containing collections of Photofacts. 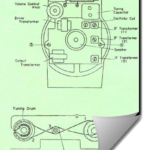 In the case of transistor radios these collections were titled Servicing Transistor Radios and curiously abbreviated “TSM,” which I take to mean “Transistor Service Manuals.” I wonder why they were not called STRs? At any rate, a typical TSM contained 50 or more Photofacts and an index to all the preceding TSMs. The first 50 TSM books more than cover the date range of interest to most boomer-aged collectors, and if you stopped at TSM Volume 35 you would probably still have a mighty useful collection. TSM Volumes 1 through 6 contained a serialized article designed to bring tube technicians into the solid state age. It is titled Techniques in Servicing Transistor Circuits, and is worthwhile reading even today, particularly if you understand vacuum tube theory, as the majority of the intended readers did at time of publication. This lengthy tutorial spans TSM Volumes 1-6 and was derived from articles printed in a Sams magazine called PF Reporter another interesting and valuable resource. The first printing of TSM Volume 1 was in April 1958. Most of the early TSMs had multiple printings, which sometimes, but did not always contain updates and notes about production changes. Every company needs a competitor, and H.W. Sams had a few. Perhaps the most useful to us was Supreme Publications, publisher of the Most-Often-Needed series. These were annual publications covering both tube and transistor radios. The coverage is considerably condensed compared to Photofacts and sometimes copies of factory-generated documentation not found in the Sams versions. There are also a few radios in the Most-Often-Needed series that you won’t find documented by Sams. Service Aids are also wonderful collectibles. For example, consider this “PHILCOtrace automatic circuit evaluator from Philco, circa 1960. 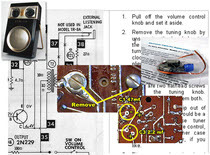 It contains printed templates that you place over the circuit board traces of a faulty set. The holes in the template let you use a test probe to compare your readings to the expected values, and to quickly trace signals through the set. How cool is that? Don’t you wish you had one for each of your radios? Perhaps my favorite ephemera come from the original owners of vintage devices. These little slips of paper speak volumes. Examples include sales slips that tell us when and where a radio was purchased, at what price, and often, by whom. Another great find was a hand-drawn schematic generated by the owner of a Regency TR-1. Was this guy a curious experimenter or a competitor? And then there are childhood photos, or better yet childhood accompanying adult photos, showing someone regaining an important touchstone. Priceless! It’s remarkably easy to collect a nice library of vintage electronics books. These are generally inexpensive, plentiful and fun to read. You will obviously want to find topics of interest to you. I like the old construction and circuit books, typically 100-pages or shorter in length filled with circuits and construction diagrams. There are theory books, of course, engineering tomes and cross-reference guides. Don’t limit yourself to English language books. Not everything happened in the States, you know. Here are a few examples of my favorite old books. Oh, and slide rules. You do have an amazing new slide rule right? It separates the men from the boys! Merchandising items can be fun too. Radio makers provided dealers with fancy display cases, battery dispensers, posters, banners, wall clocks and other “point of purchase” propaganda. Putting the right grouping of Motorola radios a proper case form the era can add a whole new level of authenticity to your collection. Even non-collectors love to look at vintage framed ads, banners and neon signs. “Oh, I remember those!” visitors will say. These merchandising artifacts can be expensive, particularly if they are in excellent condition. They are also expensive to ship safely. A lot of what’s left out there is water damaged, nicked, chipped, or incomplete. Shop carefully, and ask plenty of questions.